During the undercard GOP debate on CNN Wednesday night, Louisiana Governor Bobby Jindal returned to a quip he tried out during the first undercard debate. 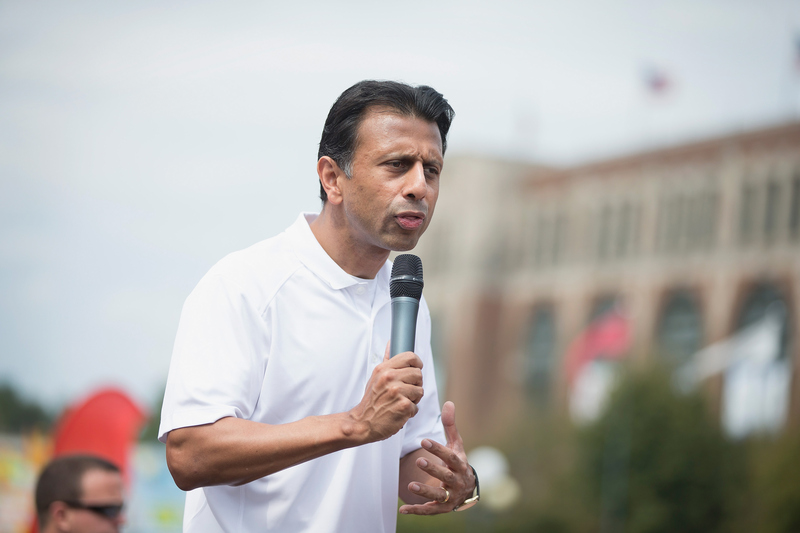 Jindal reused the "assimilation" line, and it came off just as horribly as it did last time. For anyone who missed it before: During the debate on Aug. 6, Jindal dropped this heavy, inflammatory remark about immigration: "Immigration without assimilation is an invasion." And if that strikes you as a pretty out-there, presumptive comment that's at best racially insensitive, then you're right. We need to insist people that want to come to our country should come legally, should learn English and adopt our values, roll up their sleeves, and get to work ... We need to insist on assimilation. You know, in Europe they're not doing that. They've got huge problems. Immigration without assimilation is invasion. That can weaken our country. It's an alarming comment, and not just because the invocation of "invasion" echoes so much aggressive rhetoric seen among far-right anti-immigration circles. It's so strident and needlessly combative to push one's own opinions about cultural assimilation onto every immigrant in the country. Obviously, Jindal believes firmly in cultural assimilation, and it seems to have done well for him and his family — after all, he's a sitting governor as a first-generation American born to parents of Indian origin. But to project that opinion across all the other immigrants and descendants of immigrants in the country, and to call them "invaders" if they want to call themselves "African-American" or "Indian-American" rather than simply "American"? That's a step much too far. And if Jindal had any real shot at being the nominee, rather than an also-ran, it would surely hurt him in a general election.